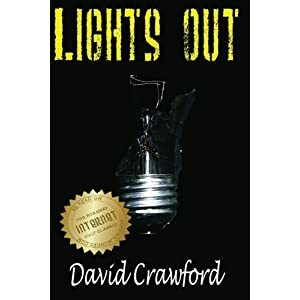 One of my all time favorite fan fiction style book about prepping and disaster is Lights Out by David Crawford. For several years this book has been available in PDF but with such a long book reading on a PC screen gets kind of tough on the eyes. Well I just found out that David has finally completed the long process of getting his book into print and what do you know, just in time for Christmas. Lights Out focuses on the disaster scenario of an EMP attack and the resulting aftermath. Lights out doesn’t go from from a typical day to the apocalypse overnight with the onset of the attack. Instead it presents a worsening spiral where things go from okay to bad to worse on a more realistic time frame then most similar books of the survival/apocalyptic genre. So if you are one of the 5 million who downloaded the PDF and always wanted a hard copy or just want a book that is just an awesome read and a great way to spur the mind about prepping from the tactical to the practical check out Lights Out. Best SHTF story, ever. Thanks, for the heads up on the hard copy being published! Greatness. I cannot wait to get my copy. One of my favorite books. Will be buying several copies as gifts. Thanks for making this book available in the past. Any prepper…. every prepper should read this book. Pretty sure most digital copies have been scrubbed from the web, Greg. This is a book about normal people reacting and adapting to the end of the grid. The story starts out slowly and builds tempo as the plot is developed. With the exception of one fight scene, nothing is predictable. The book reaches the point where it is almost impossible to put down. If you haven’t read it yet, you won’t be disappointed!!! If he could be convinced to produce a Kindle version (or epub version), that would be great for we RV’rs. Great story! Well worth your time. Good balance between drama and real life scenario. It’s only $20 for 600 can’t-stop-reading-pages. Buy it! I assume he’ll put it in ePub format when this current print run sells out. Unless of course it sell out in two weeks and he does a second run, then we’ll just have to wait. Out of all the SHTF books I’ve read, I think this one is the best, IMO. Not only is the story line well written, but how the characters in this book prepare will really make you think about your own preparations. I have to say it is a pretty good read, and I have specifically read the early parts of the book dealing with the practical issues, which while a bit idealized are a good primer for getting you thinking about survivalism. Emailed the author months ago about getting a copy because I couldn’t find the pdf anymore. So very glad a hardcopy is now available! Ordering today! @Martin, with 5 million downloaded I am sure you can find a copy for that. I still say at this point if you liked the book, support the author and buy a copy. Kindle users if you have the pdf you can email it to your kindle, but again, support the author. David is a great guy and a good friend to the movement. Excellent book. I’ll be ordering a copy to replace my well worn printout of the earlier PDF version. I’ve ordered a copy from Amazon today. I’m probably one of the few folks here that hasn’t read the story…so I anxiously await it’s arrival. I still hope that an audio book will come down the pike. Thanks for promoting David’s work Jack. further, if you have a .pdf – it can be converted to epub very easily. i use a free program called “Calibre” to do that. Just placed my order for the book. Looking forward to the read. But, I have been waiting for a hard copy “forever”! (Reading it online is great, but I can’t very well take it to work with me. And returning to the correct chapter wasn’t a quick process. I can hardly wait to receive the book! And thank you, Jack for the heads up on it. How can I get this book without using a credit card? I don’t use them any more. I do use PayPal, but Amazon doesn’t take it.